Setting goals are an important part of improving your skills in soccer. It is common that soccer players are great at coming up with long-term goals, though struggle with setting short term goals and creating an action plan. We are always quick to encourage these goals but we help our soccer players develop smaller goals that will help them reach their big dreams. As you know, training for any sport is critical to success in competition, soccer is no different. 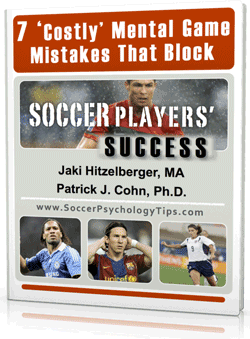 The best soccer players in the world are often the athletes that train smart. By training smart, we mean having well-structured goals for each practice session that help soccer players get the most out of each session. To enhance motivation and commitment. To help you stay focused on what to accomplish. To help you focus on the process and in the now. To assess strengths and weaknesses so you can structure practice accordingly. To keep track of performance improvements and progress. We ask soccer players to come up with goals for the upcoming weeks, based on what they need to improve. They then have to create an action plan on how they will make improvements in these areas. For example, if you want to improve your fitness, you will need to set up a daily schedule that involves running, strength training, and recovery time, this is called goal specificity. We also want your goals to be measurable so that you know when you have achieved it. You might say you want to run a certain distance in a certain time or get to a particular level in your fitness test. Training smarter means you have a direction and plan to attaining your long-term goals. 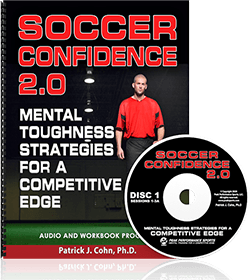 Setting goals is only one small part of developing mental toughness and confidence in soccer. 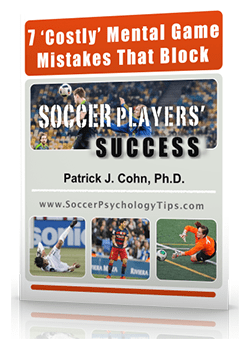 If you would like to learn how to overcome other mental barriers in soccer download our free ebook “7 Mental Game Mistakes that Block Soccer Players’ Success”.